I'm a pretty big fan of the Kindle line. I've have my Kindle for a couple of years now, and I use it almost every day. (It even made it's way into my blog header!) My daughter has a Kindle Fire and we both love it. There are lots of great academic apps for her that she enjoys "playing". Of course, the creative child that she is, Drawing Pad is her favorite. Since this is a product that I like, when Danielle of Life with Two Boys put out an invite to join her with this giveaway I jumped on it! I would love one of my readers to be able to win this great prize. About Today's Sponsor: I love a good deal, and I love saving money. 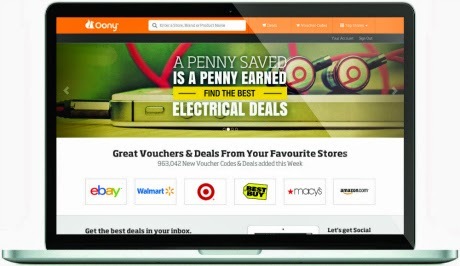 Oony you can help you save money on your favorite products, brands, and even at your favorite stores! How? Simply visit Oony.com or Oony.co.uk, type a store, brand, or product name into the search box, and voila! Or just browse their website to see all the great deals they have to offer. Plus, when you join Oony, you can even get personalized deals and recommendations delivered right to your inbox. Kindle Fire HD 6 16GB Tablet! Details and Important Stuff: Open to US residents only. Must be 18+. 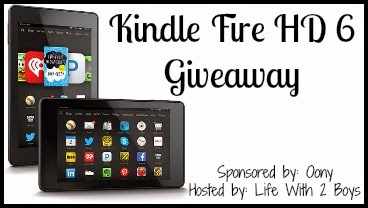 Giveaway ends at 11:59pm EST on January 31, 2015. The Philosopher's Wife is not responsible for prize fulfillment or shipment. The Philosopher's Wife and the rest of the participating bloggers were not compensated for this post. Facebook and other social media are not associated with this giveaway. I like the 15% off offered at yoyo.com. I like the 20% off store wide at Pets360. Love all the great deals! I was checking out the shoes.. The CACIQUE Bra is a GREAT deal from Lane Bryant! I like the 15% off floating lockets and charms at Eve's Addiction! I am loving all the deals and discounts! I like the Ship Out Backpack.